I love doing my nails, and trying new things with them. Recently I tried two of my favourite nail polishes together and I love the out come of the colour. 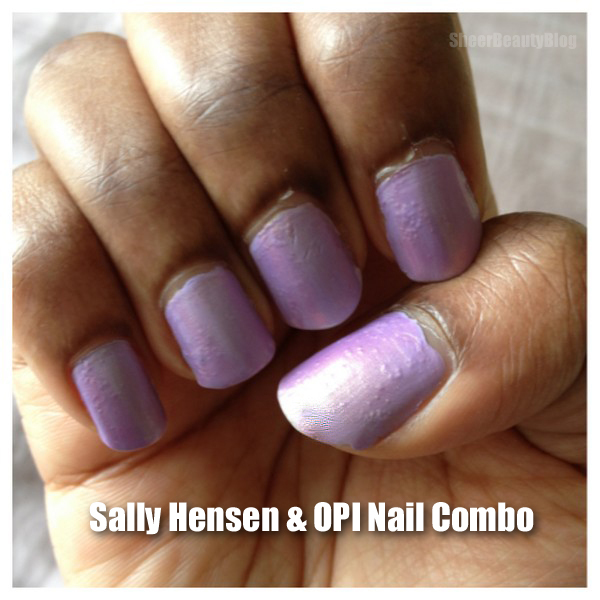 Sally Hansen Lacey Lilac is one of my top favourite nail colours and I love OPI Significant Other which gives off a purple, pink, yellowish green shimmer. Together I think they look awesome you can't see it to well in the picture but with these polishes together they give off a lavender colour with a yellowish green shimmer. First I applied Lacey Lilac and then on top just one coat of Significant Other. What are your favourite nail polishes to wear together?